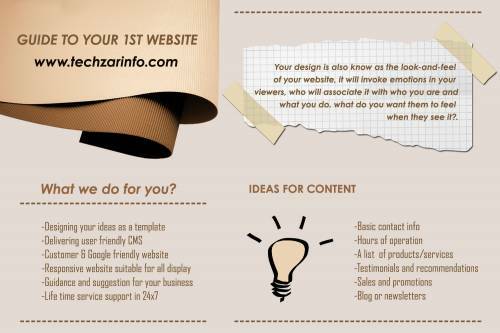 We Are Happy To Introduce About Our Self, Techzarinfo Is A Website Design And Web Development Company In Chennai. We Have Expertise In Website Design, Website Development, E-Commerce, Cms Website Development, Search Engine Optimization And Mobile Application Development., Iphone, Android, Blackberry Apps Development. We Provide Best Web Services And Mobile Services And Help Our Clients To Visualize Their Dreams And Make It A Success. We Use State-Of Art Technology To Offer State-Of-Art Services To Our Clients Resulting In Our Client’s Satisfaction And Success. Designing With Techzarinfo Would Give You An Edge Over Your Competitors, As We Offer Customized Solutions Using Latest Technologies And Tools Along With Advice And Consultancy From Our Industry Experts. We Have Industry Experts In The Field Of It Software Development And Services Which Makes Our Services More Reliable And Efficient. Some Of The Platforms Or Technologies Which We Work On Are Java- J2me, Css And Html; Windows & Linux; Android, Cocoa Touch, Objective – C, Xcode; Asp Net, Core Php; Joomla, Drupal, Wordpress, Magento And So On. We Follow A Customized Approach As We Believe Every Client Of Ours Have A Unique Need. You Can Call Us At Reach Us Through The Below Mentioned Methods, For Free Consultation And Suggestion On Your Existing System Or Services You Need From Techzarinfo. We Would Be Happy To Guide You And Provide Services Based On Your Requirement. Our Teams At Techzarinfo Are The Assets To Our Company And Have Been Playing A Vital Role For The Growth And Success Of Techzarinfo, Making Us One Of The Top Companies In The Region.Our Experts Are Versatile In Their Respective Field Of Software And Application Development Which Results To Deliver Unique Designs For Our Clients.